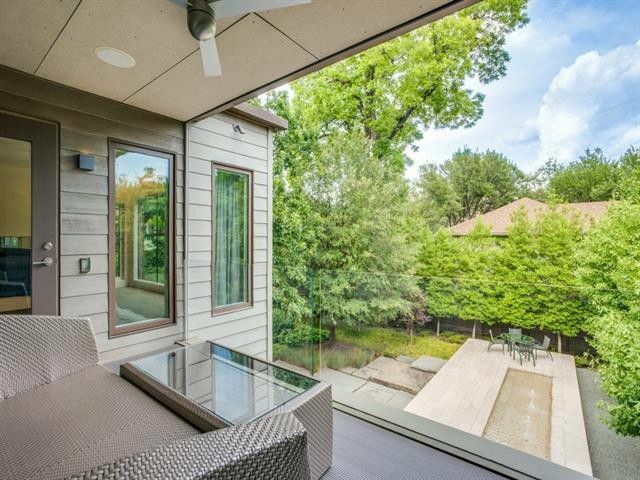 How would you like to live in the heart of Highland Park and yet be so completely concealed from sight, your privacy is absolute? 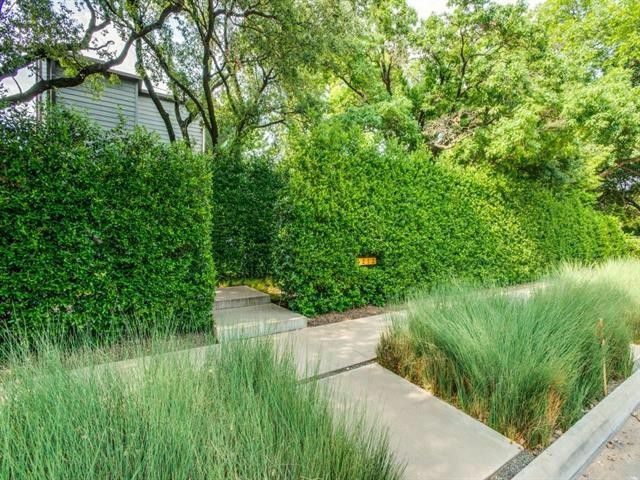 Take a peek behind the tall hedges of 3212 Dartmouth Avenue for a glimpse of a Texas Modern masterpiece with a rare provenance. 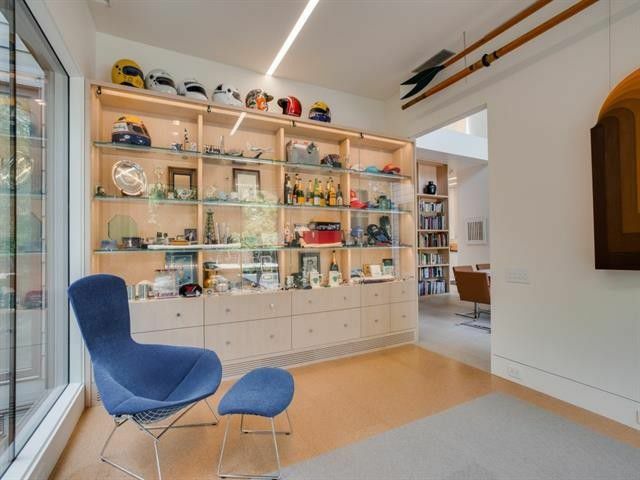 The legendary architect Frank Welch originally designed this home in 1978. 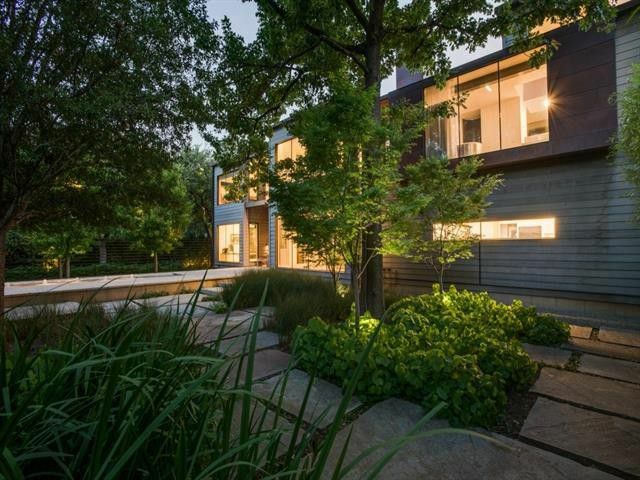 As if that’s not enough to turn your head and make your heart flutter, this Texas Modern masterpiece was reinvented about ten years ago, by another famous Texan — AIA award-winning architect Max Levy. In the 1970s, architects were pushing the envelope all over America. We saw the construction of innovative styles like Shed and A-Frame homes. It was an exciting time in architecture, and there were plenty of clients eager to be on the cutting edge. 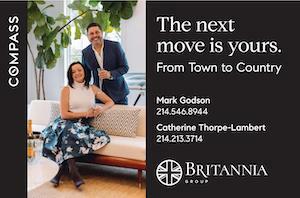 We’re lucky in Dallas that not only do some of these homes still stand, but owners maintain and improve the designs. 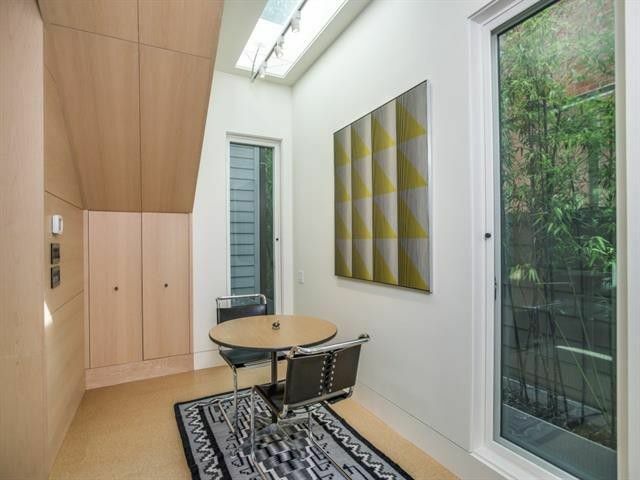 One of the boldest moves made with this property was capturing the lot next door. Rather than expanding the home, the owner added to the privacy and sanctuary-like feel with stunning gardens. 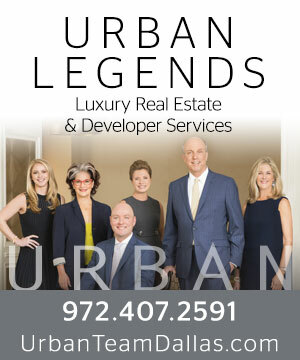 That privacy was thoughtfully constructed by internationally-recognized landscape architect David Hocker, principal of Hocker Design Group (HDG). Hocker is noted for indigenous gardens. 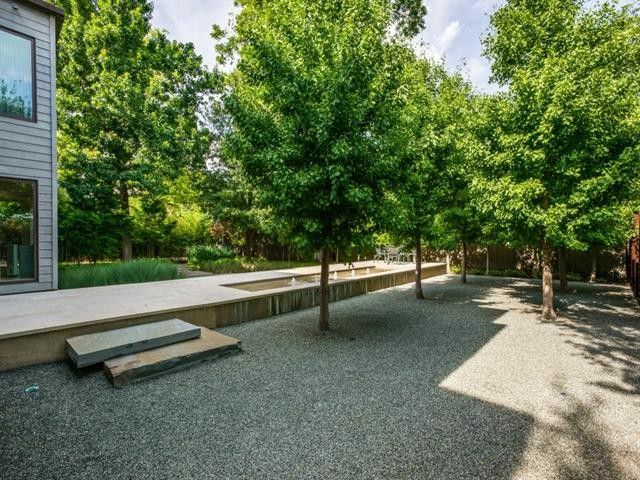 If you have been in Dallas for any length of time and value landscape design, you’ll know Hocker for his award-winning work on the 1926 Dallas Power & Light electrical substation which became an indoor and outdoor art exhibition space, guest artist’s residence, and not-for-profit organization. 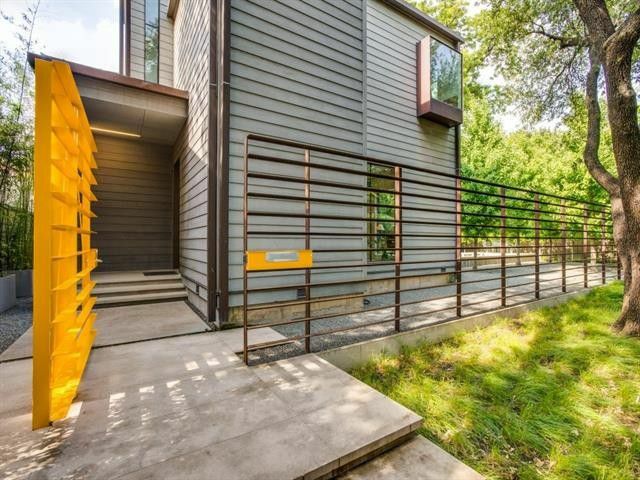 There are so many things I love about this Texas Modern masterpiece, and the backstory is one of them. Listing agent David Griffin told me the current owner was looking at high-rises and could not find anything that suited him. 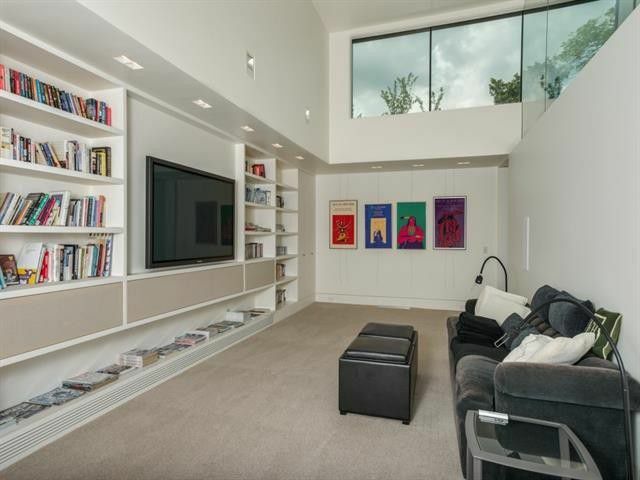 Then he saw this Texas Modern masterpiece. 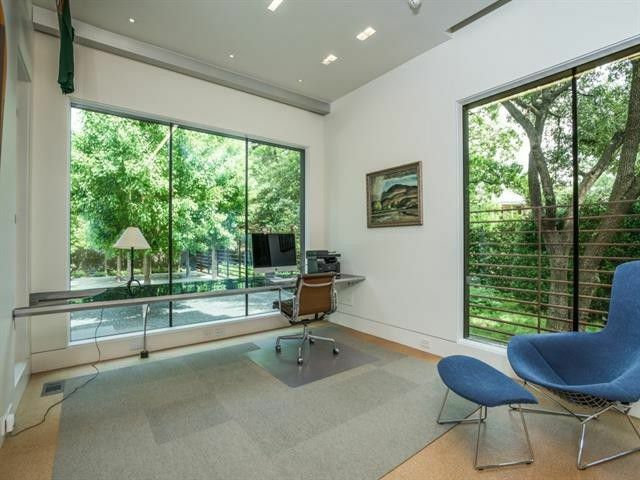 With 4,787 square feet, two bedrooms, two bathrooms, and a powder bath, this Texas Modern masterpiece is the perfect home for someone wanting not only the highest standards in terms of design with no compromise in materials or craftsmanship, but also privacy and low maintenance living. 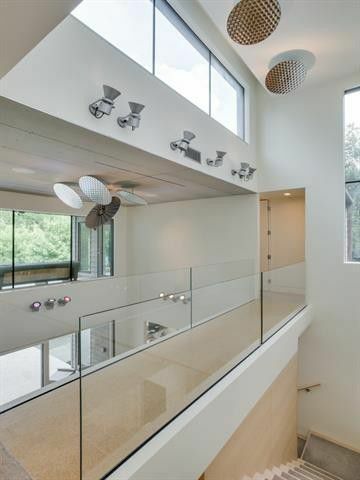 A walkway above the first floor bridges the master suite to the guest suite. 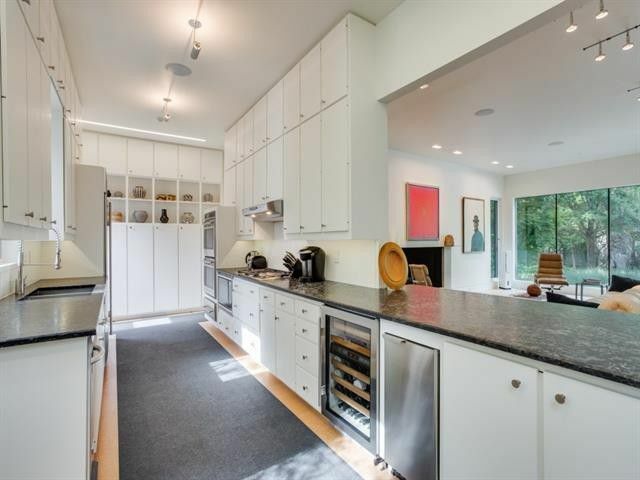 The master bathroom is enormous with one side facing the private gardens. 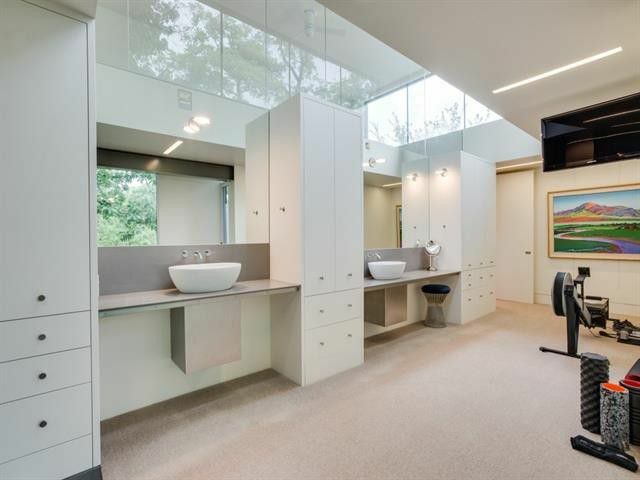 When your master bath is large enough for your gym equipment, well that’s large! Look closely. There’s a glass panel on the balcony to ensure your safety! The garage has space for six vehicles. 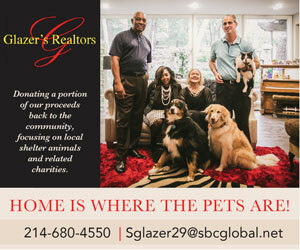 The home features a copper roof and gutters and sits on a private cul-de-sac that ends at the Katy Trail. 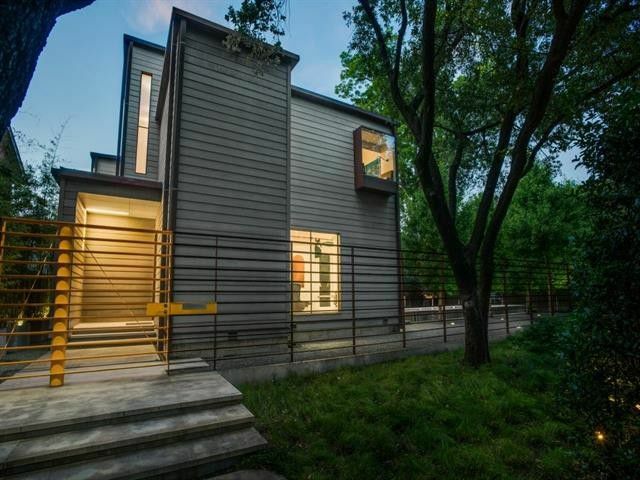 This Texas Modern masterpiece is a gem of a home, set on a private double lot, in a world of its own, and yet minutes from all the fun on Knox Street. Javier’s Gourmet Mexicano restaurant is practically at the back door, which would seal the deal for me! 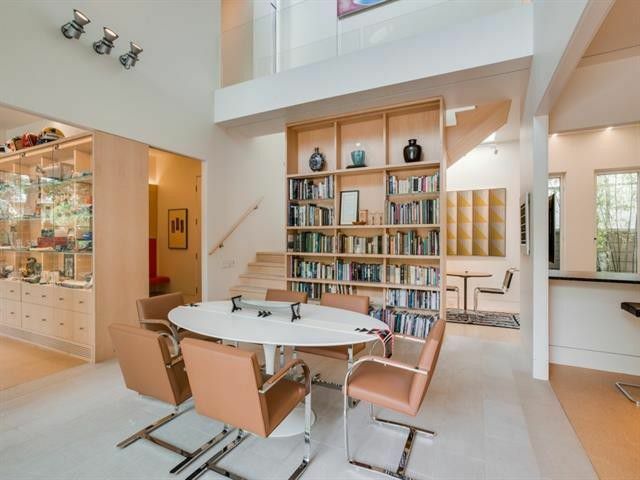 This home is exactly what we all want. 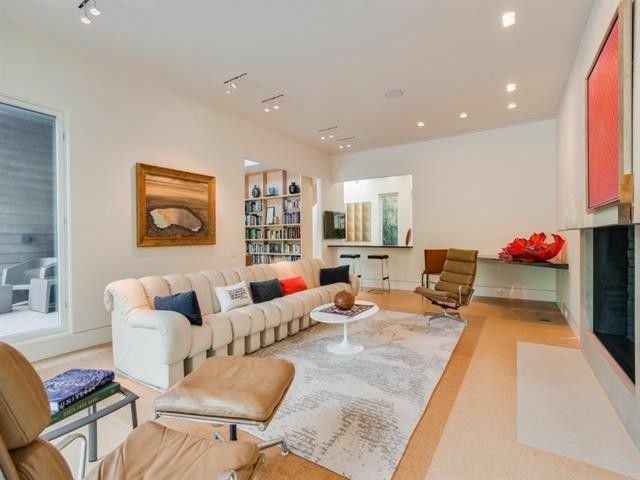 A timeless design, in a superb location, with fantastic privacy, and low maintenance! 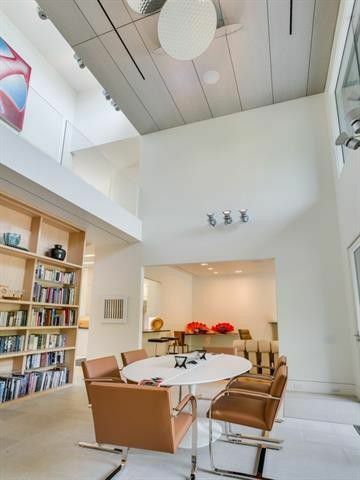 Griffin has this sophisticated architectural beauty listed for 4.25 million. 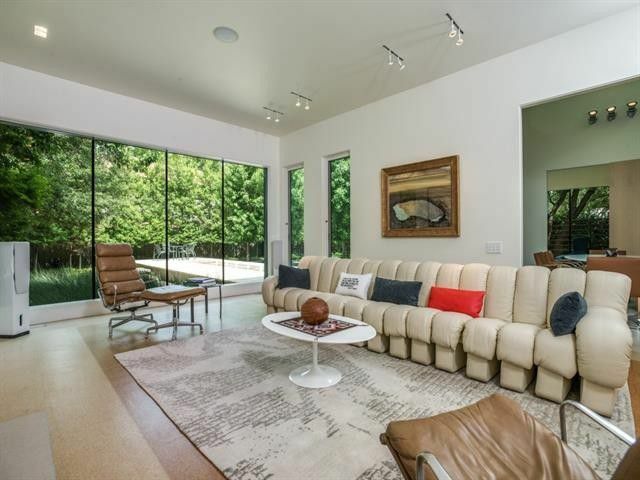 I love every 80s/90s modern quirk about this incredibly designed home! The updates are just right, not too little and not too much. The location alone makes it worth it. Hopefully this home will find someone to cherish it for what it is and not change it any more!